For my previous ramblings on how to stock your bar check HERE. 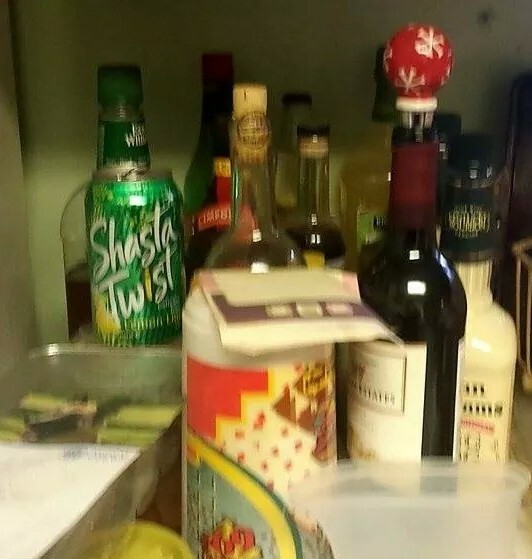 A long running argument among my friends is what actually constitutes a cocktail. The line has been fairly drawn by me at three ingredients and by at least one of my more vocal companions at two. Under his rule the rum & coke would qualify as a cocktail but under mine the screwdriver would not. The bar has not been solidified but is constantly in flux. What remains is that when you boil most cocktails down they are a mixture of a high proof spirit, some lower proof liquor or liqueur and a syrup, juice or soda. This means that after you have found your base spirit the next portion of the process is finding your mixers. Because the liqueur section is slightly more difficult and sometimes unnecessary (re: screwdriver, rum and coke, Jack and Ginger) the form of your basic fillers becomes a more important portion of keeping a well stocked bar. To start with I want to tackle sodas. The single most vile and beautiful thing that you can add to your drink is in the form of sugar and carbonated water. Just like with a base spirit the end result all depends on quality and what you’re willing to put into making your drink. For the most simple drinks a mini-fridge full of small cans of major label sodas is more than enough. The smaller size means that you can make one or two drinks without having to worry that an entire 2 liter bottle is going to go to waste before you can get to the rest of it. If you want to upgrade a step from there, the number of premium bottled sodas has exploded in recent years with everything from Reeds premium ginger beer to high quality organic tonic waters like Q Tonic. Keeping a six pack or two on hand is easy and fun. On a half step laterally is the soda stream fountain. I was given one of these as a gift and can say with authority that it pays for itself in fridge space and flexibility. The reason this is a half step is that many of the syrups available are made with basic low cost ingredients and not more flavorful premium items. If you own a soda stream you can take the next step by having the ability to make your own sodas from syrup concentrates which obviates the problems inherent in the store bought syrups. This also allows you to make things that are not as common in store bought syrups such as porter syrup, Ginger Syrup and Tonic Syrup. A syrup is generally a high sugar liquid. The sugar content can come from anything be it honey, agave nectar, or fructose from fruit juice. These are generally non-alcoholic and are added like a concentrate in small amounts. Some well known ones include Grenadine (pomegranate syrup), chocolate syrup, Orzha (Almond Syrup), and Simple Syrup which is just sugar water. Syrups are painfully easy to buy. Torrani has made a line of both full sugar and sugar free syrups for years with a flavor line that runs into the dozens. A quick trip to Cash and Carry shows 2-3 other semi-generic brands with similar offerings. Syrups are also hellishly simple to make, with the verity of sweeteners available in bulk you could quite easily make a dragonfruit and saffron syrup with an agave nectar base if your tastes ran that direction. With a minor addition of an ounce or two of vodka the syrups will keep in the fridge for weeks. Fruit juices are one of *the* most common additives to cocktails. Starting with Lemon and lime juices and following onward to orange, pineapple, grapefruit and from there to non-citrus juices like apple or cranberry. Much like the sodas there are ample retail options for many of these juices, but fresh juices are often best where possible and so having limes or lemons to squeeze yourself is great. 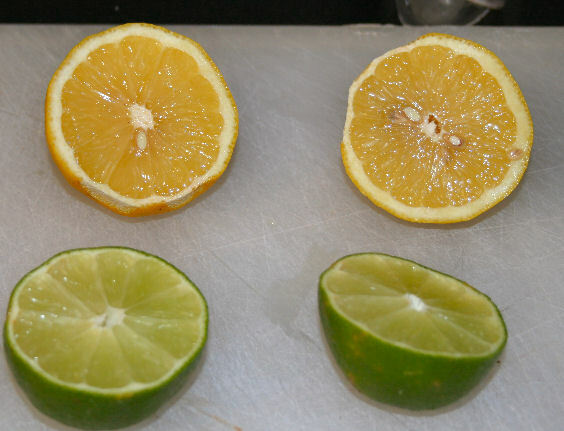 Oranges are a bit more difficult as the juices can be bitter without any outward sign, this is why it is best to get oranges in season and to test them before you run an entire pitcher of juice. Having a selection of fresh juices on hand is key to flavorful cocktails. Gracious Thanks to Diana C. for the bar photo at the head of this post. Posted in Feature.Tagged bar tips, feature, juices, sodas, stocking, syrups.